I don’t need an excuse to eat a grilled cheese sandwich but National Grilled Cheese month is as good as it gets! 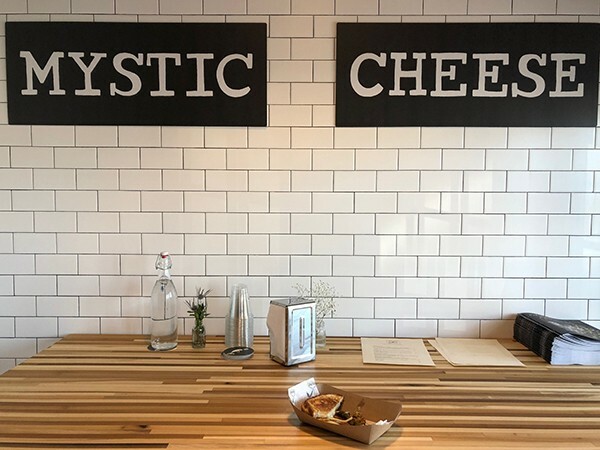 If you’re in the mood to celebrate this important holiday, I say you make a run to Groton to the new Mystic Cheese Cafe. You’re likely familiar with Mystic’s family of cheeses crafted by hand by co-owner Brian Civitello. They’re available melted on my favorite breakfast biscuit at Ashlawn Farm Coffee and at many local groceries and gourmet shops. But a jaunt to the source gets you a freshly grilled slab of cheesy goodness! 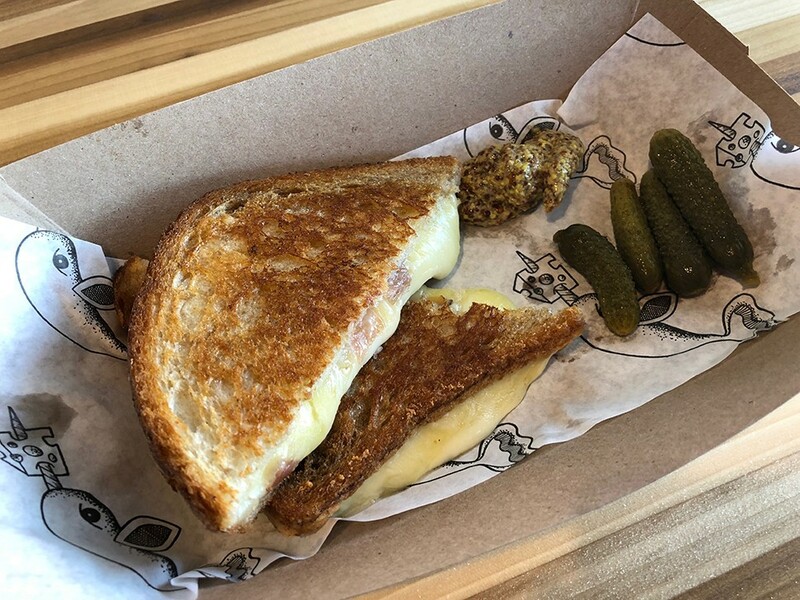 The new cafe offers a secret blend of cheeses on Whole G sourdough, served with or without prosciutto, a small mound of mustard (lovely for dipping) and a pile of cornichons. 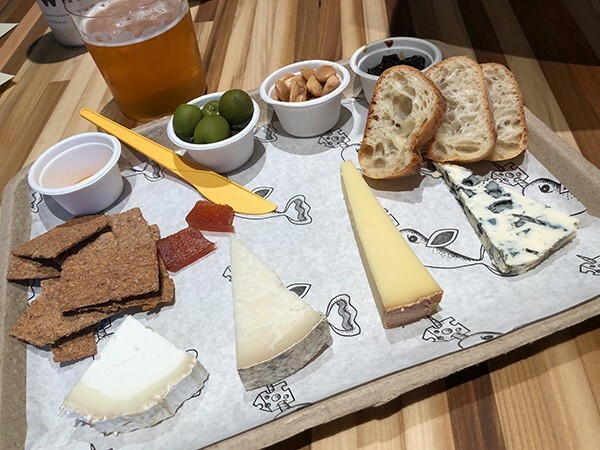 Or if you prefer your cheese straight up, tempting boards of cheese, charcuterie, and accompaniments are on the menu, too. 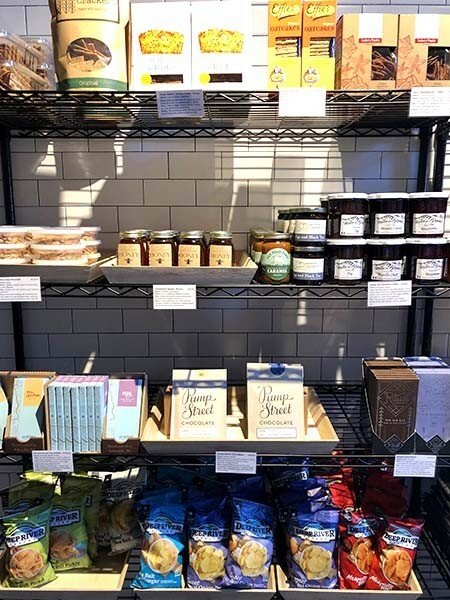 Brian hasn’t limited his selections to his own Melinda Mae and Melville, but offers a case of perfectly ripened chunks for purchase as well as salamis, crackers, that famous Whole G bread and even some organic chocolate bars to round out a meal! 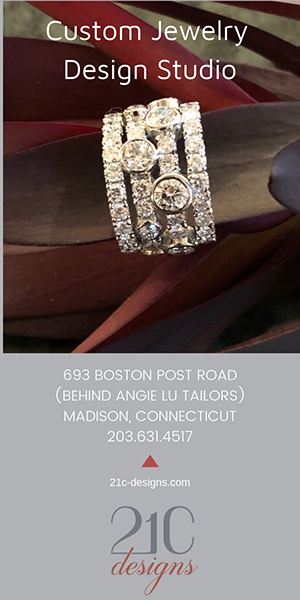 The white-tiled space, with butcher block tables and black metal stools make you immediately forget that you drove through an industrial park to get here, and the youthful crowd clinking glasses of rose and downing local beer completes the hip vibe. 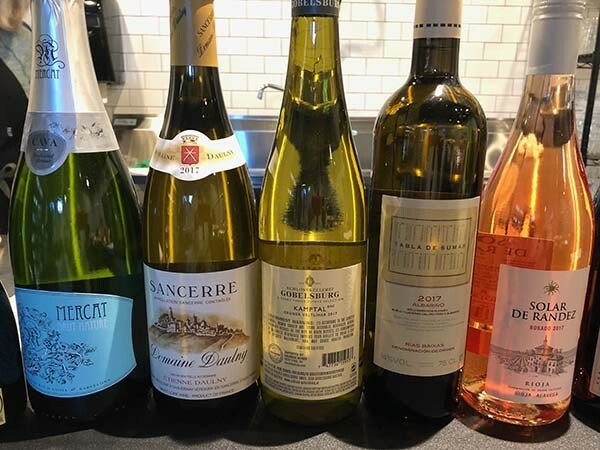 Currently open Saturdays only, the Cheese shop is expanding to Friday night Happy Hour offering bottles of wine at $20. And hopefully, by mid-May (construction is underway) you’ll be able to visit Beer’d Brewing right next door and enjoy your sandwich with a tasting of their variety of local brews.